Bendable contours like the knee and elbow need wound protection with flexible construction to allow for movement. 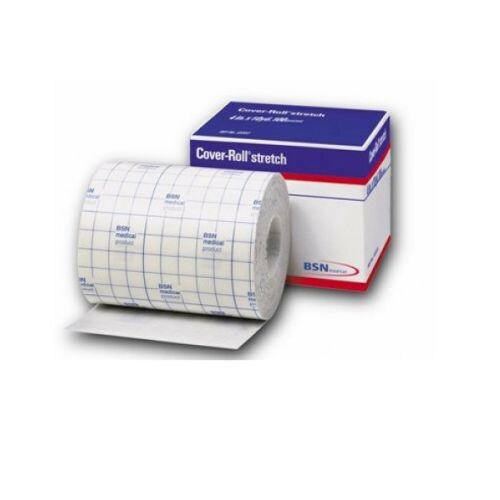 Cover-Roll® Stretch Adhesive Fixation Dressing 45548 by BSN Medical does just that adapting to the body's bendable contours. 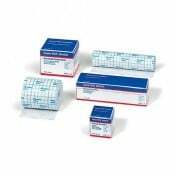 The dressing is designed to retain a primary wound dressing and add light compression. 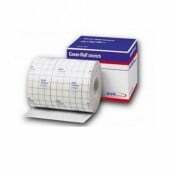 The Cover-Roll® Stretch is 4-inches wide on a 2-yard roll. The adhesive is protected with paper-backing with gridlines making it helpful to cut to size and use only what is needed. This makes it cost-effective and creates less waste. The gentle fixation polyacrylate adhesive firmly adheres on all four sides to maintain the primary dressing. The barrier is permeable to allow for vapor to release to maintain a moist wound environment and reduce the risk of maceration. You may be interested in purchasing rubbing alcohol which effectively removes dressing adhesive residue.